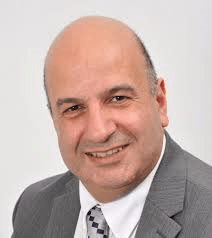 Firas Sarhan, Director of CETEC at Barnet Southgate College explores the use of the Amazon Echo, affectionately known as Alexa, with patients living with dementia. In the coming years, an increasing number of people will be living with dementia. Many of these people choose to live in their own home environment in the community, despite the increased risk of disability and the increased help needed from family and health professionals. Dementia is a major cognitive disorder which has an impact on independence in activities of daily living and is one of the main causes of disability later in life in the UK, ahead of cancer, cardiovascular disease and stroke. The Alzheimer Society in the UK states that there are 850,000 people living with dementia in the UK, with the expectation that this number will rise to over 1 million by 2025. Furthermore, they indicate that this number will increase to 2 million by 2051. They published alarming figures that 225,000 will develop dementia this year; this means that every three minutes someone will develop dementia. The ageing population in the UK means that one in six people over the age of 80 will develop dementia. The Society identified that 70% of people living in care homes have dementia or severe memory problems and that it is more noticeable that dementia is becoming more evident in people under 65 years old. The purpose is to maintain quality of life for those living with dementia. Improving their self-esteem through their engagement with their own care and to continue being involved in their social activities with family, friends and the local community. To enhance the safety of individuals living alone at home through the use of social alarms installed within the home environment. These alarms could be for smoke, flood, door entry, heat, GPS tracking devices and humidity detectors that are linked to call centres or carers. These sensors activate when there is a potential danger putting the individual at risk. The use of Alexa has increased remarkably in the last three years. Alexa is a voice-activated technology device. Unlike other voice-activated technologies, Alexa is screenless. It is important to note that Alexa can assist in multiple tasks and doesn’t have a high interaction cost. The stand out feature is that the Alexa is hands-free and doesn’t require a level of dexterity like mobile devices do to use. On this basis, the role of Alexa is worth investigating further in supporting vulnerable individuals regardless of age or medical condition. The key question to all professionals who are involved in the care of dementia patients and assessing their AT needs should consider the following questions: how the use of Alexa can help, support and empower individuals with vulnerability such as dementia, and if so, how Alexa could be integrated in their activities of daily living? What are the key functions and what can it do to support the lives of individuals with dementia, their carers and families? Also explore if there are any other issues that have not been addressed by the Alexa which might have an impact on the quality of life for dementia patients, and explore new ideas that could assist in this area in terms of telecare or telehealth elements of assistive technology. So how can the Alexa Echo help dementia patients? Developing an understanding of what products are available on the market that could be commissioned in health and social care services. These products could be linked to safety, security and independence such as fire, flood, tracking GPS location, and entry and exit of main doors. Assessment of dementia client environment incorporating all factors that may influence movement, integration and installation of equipment such as connectivity to the internet and compatibility of AT devices. Ensuring that the environment is safe and suitable for installing AT. Ethical consideration in using AT to support dementia patients, ensuring that you are adhering to the mental capacity act mainly when seeking consent and permission to install technology. The use of AT could have considerable benefits, but at the same it time could be misused. As a professional you need to ensure that it is used for the right reasons to enhance independence, safety and promote daily living. Permission and consent should be obtained from clients and next of kin so AT could be seen as a tool to support and engage with clients rather than a tool to monitor or reduce contact hours with cares. Professionals should consider evaluating the impact of Alexa considering the following criteria: access, acceptability, integration, quality (quality of care, quality of technical service, quality of outcomes) and the financial impact exploring the monetary cost of providing a service or series of services by telehealth compared to other modalities of service delivery. It is important to conclude that AT has a role in managing individuals with dementia in the home environment, this requires careful thinking and planning to ensure individuals safety. It is becoming more increasingly essential that health and social care professionals develop their knowledge and skillset in AT use and integration in the client care pathway. CETEC is the Centre of Excellence for Technology Enhanced Care at Barnet and Southgate College. Firas Sarhan is the director of CETEC and he regularly contributes articles on assistive technology.